British artist Caroline Popham graduated with a Post Graduate Diploma in Fine Art at the University of Arts (Chelsea) in London in 2016. She previously completed a Bachelor of Arts in Graphic Design at the University of Brighton in 1994 and has worked as a freelance graphic designer for 20 years with such clients as Louis Vuitton, Dior and Manolo Blahnik to name a selection. It was as a graphic designer that Popham developed her interest in structured minimalism and love of colour, and her skills in painting and collage. 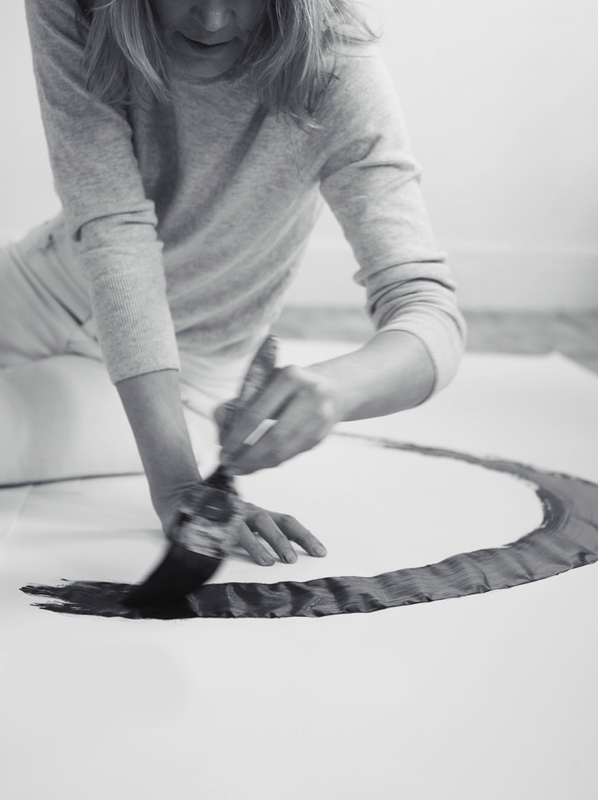 Since her graduation she has exhibited regularly as well as producing several commissions including most recently a collaboration with contemporary womenswear brand Chinti & Parker with an exclusive collection featuring her paintings. Work is held in Soho House and selected private collections in the United Kingdom, France and the USA. Popham lives and works in London, United Kingdom.